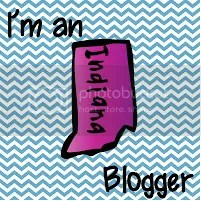 I cannot believe my little blog is almost up to 1 MILLION hits! WOW! And it’s all thanks to you!! So…I would like to do something special for you my readers, but I cannot come up with any ideas…got any ideas about what I could do for 1 MILLION hits? Please reply in the comments section with any ideas! We’re getting close…only 300ish more hits to go! I’m on a mission to complete more class books this year so here are starters for the first two books we have completed so far. You will only need to print the first page once (and insert your name). Print as many of the 2nd page as you have students (minus 1). Before you give each child their page, write the name of the previous student on the top two lines of their page, so that when you put the pages together it will read correctly. Also, I print pictures of my students easily and without resizing them in iPhoto. 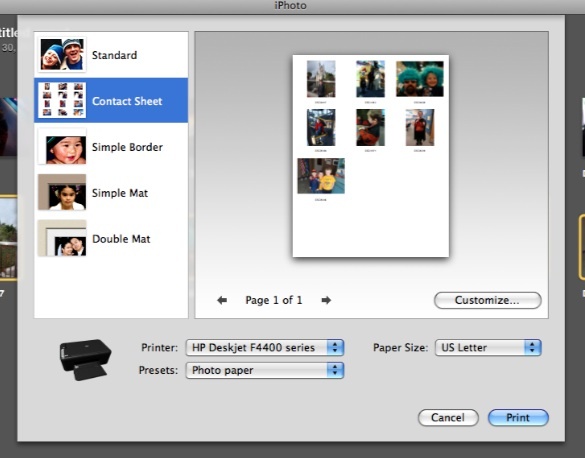 When you click print, select the “contact sheet” option (as shown below). This will allow you to print all the pictures in a 2×3 size if you take them all in the same direction with your camera. You can see the pictures I used below are both horizontal and vertical. Usually, all of my pictures are horizontal. Here is a checklist I use when a new student enrolls in my classroom. 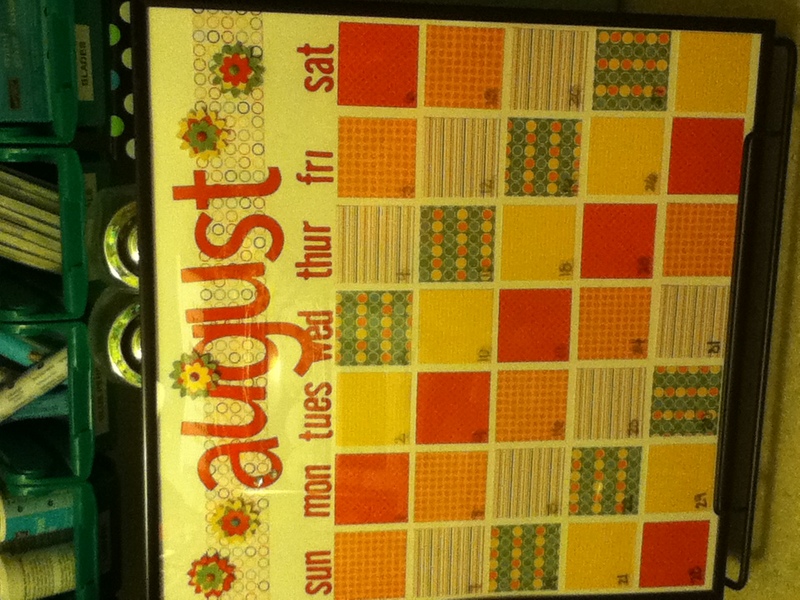 I also use it at the beginning of the year so that I can see what things I need to label. At the beginning of the year, I do not print one of these for each student, I just use it as a general checklist because everyone needs to have all of these tasks done before school starts. Before I started blogging about Science Notebooks in the kindergarten classroom, I wanted to get a feel for what you know about them (or don’t know!! 🙂 ). Have you personally used Science Notebooks in your classroom? I’m really going to be focusing on them this year and want to be helpful to all of you in the process, so please let me know what you would like to know! 🙂 I’ll be showing some helpful materials later this week or next week to help get you started! Just curious to know how many of you out there have read Interactive Writing by McCarrier, Pinnell and Fountas. I’ve started reading it now that grad classes are over for 3 weeks. What are your favorite ideas that you use from it in your kindergarten classroom? I can’t wait to try the names chart–that’s a better approach to a name word wall I think! Do you use this name chart in conjunction with a name word wall or just use the chart? I think it would be double duty if you had both. What are some other great AHA things from this book that you use? I’m on chapter 2 and my goal is to finish tomorrow (Monday) or Tuesday. I’m going to be holding a class to teach others how to make it soon! (Sorry the lighting isn’t the best!). 🙂 We go back on the 15th!